Someone very special in our family died this week. 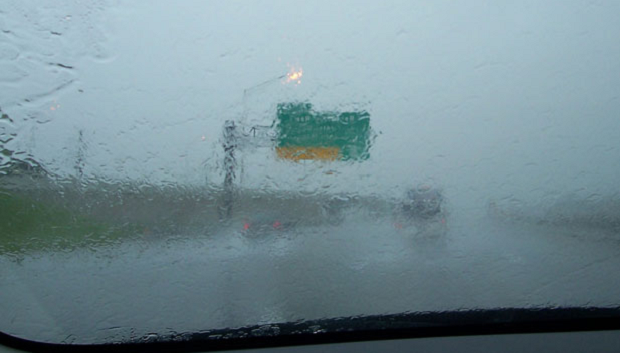 As we drove home from the funeral, with the rain beating down on us on I-10, I pondered some of the aspects of the grieving process while Mrs. Greenbean and the sprout slept. In my years of ministry I have found this to be undeniably true. It is precisely because we do not know what to say or do that ritual, formality, and tradition become necessary helpers. This is why I am an ardent believer in the funeral service as a relevant and vital part of the grieving process. I know that the popular trend is to downplay the service and minimize all the fuss, but I don’t think that is particularly healthy. I noticed driving home how in the time after the funeral the elements of the service, the words of the minister, the actions at the cemetery, and even the placement of the grave were natural points of conversation and shared experience that the entire family was able to lean on. It provided context for what we were all feeling. 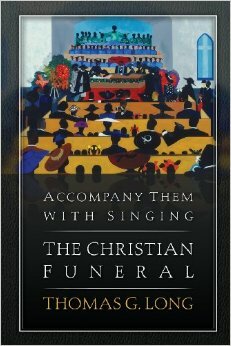 I never noticed this connection, fully, until I read the excellent book by Thomas Long titled Accompany Them With Singing: The Christian Funeral. It is a theological, historical, and sociological gem. When my mother died, there were ancient Orthodox hymns and prayers at her wake and at her funeral. I took comfort in singing Κύριε ἐλέησον by her grave. I ate more than I have ever eaten in one sitting at the meal we had afterwards—alas, that’s as far as I got in the “fun” part of funeral, but let me tell you, the bananas foster I had after the funeral was one of the most delicious and fun deserts I’ve ever enjoyed. Anywho. This is a good post, as always, and I’m very sorry for your loss. Much love to you and your family. thanks virgil. it is so hard to move through those difficult times, we need all the comfort we can get. my fear is that so many people detach themselves from these rich traditions that they never get the feeling of being embraced by the love of the community through liturgy and food. thanks for reading and commenting. Great words, Jamie. I enjoyed Long’s piece on preaching. that is a great metaphor–a hole in the ground. thanks for sharing joe. I work part-time at a funeral home. It’s a tremendous ministry opportunity. And it has become apparent to me that the funeral service is of great importance. It’s a time to worship God, find comfort, take a step forward in the grieving process, get a little more closure, and reflect on our own lives. Thanks for your blog post on this important topic, my friend. it is the reflection on our own lives that is often a missing element, i think. the death of someone we care about should cause us to think about soberly about the choices in our life and the direction it is heading. thanks for reading and commenting!